We review the new Honor 9, a premium smartphone from the budget brand of Huawei, with dual cameras. The Honor smartphones are part of Huawei's more affordable smartphone range, and the Honor 9 is a premium smartphone but at a more reasonable price. 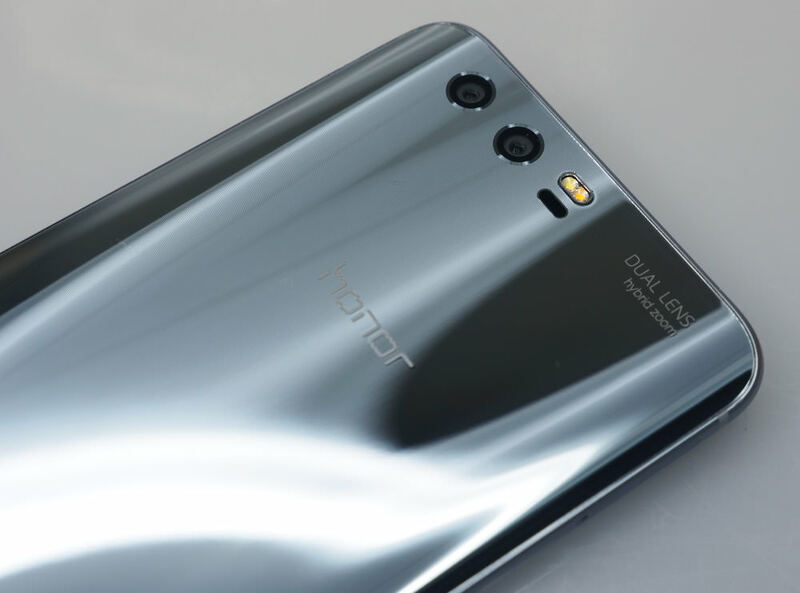 For example, an iPhone 7 Plus with dual cameras will cost you around £669, whereas Honor's top of the range Honor 9, with dual cameras, can be purchased for around £379. 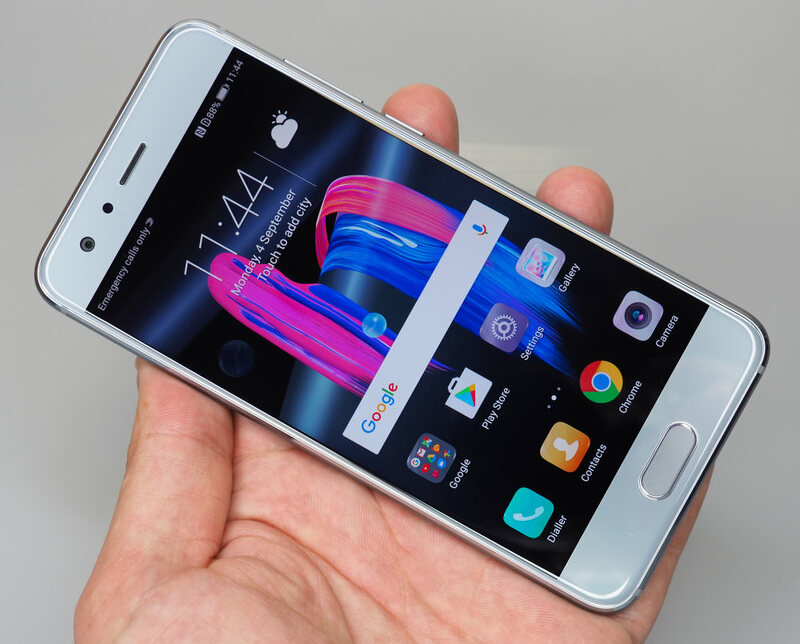 The Honor 9, made by Huawei, features two cameras on the rear, and whilst some smartphones use two lenses to offer a wide-angle and a zoom lens, such as the LG G6, and iPhone 7 Plus, 8 Plus, and X, some, such as the Huawei P10, and Honor 9 use two cameras, one colour, and one black and white. By using two cameras in this way, they can offer sharper images from the black and white sensor (through lack of RGB filter), as well as more light collection from two sensors. The Honor 9 updates the Honor 8, with a 12mp colour camera, and a 20mp black and white camera. Using this, Honor says the 9 offers 2x hybrid zoom with no loss in quality (when shooting at 12mp). You can shoot at 12mp (by default) or 20mp when shooting black and white or colour images. The Honor 9 offers a relatively compact smartphone, thanks to the 5.15inch screen, which has a FullHD resolution. The smartphone offers a generous 64GB of storage, and 4GB of ram or you can opt for a version with 6GB and 128GB storage. The camera app can also use the two cameras to create "DLSR Style" photos, with a blurred background, using the "Wide-aperture" mode to create bokeh. There's also a portrait mode with background blur and motion pictures. Pro mode supports raw shooting and manual controls. There are numerous shooting modes including Photo, Pro Photo, Video, Pro video, 3D panorama, Monochrome, HDR, 3D creator, Night shot, Panorama, Light painting, Time-lapse, Slow-mo, Filter, Watermark, Audio note, and Document Scan. You can also add a "Good Food" scene mode. The Honor 9 features a stylish design, with metal sides, the rear is curved at the edges and is made out of glass, so a case is highly recommended to protect the phone. 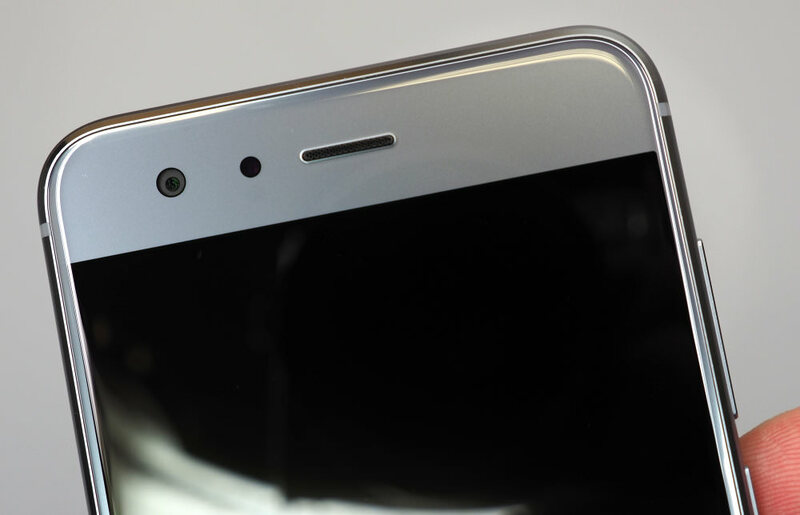 The all-glass front is curved at the very edge but isn’t as curved as some smartphones like the Samsung Galaxy S8. 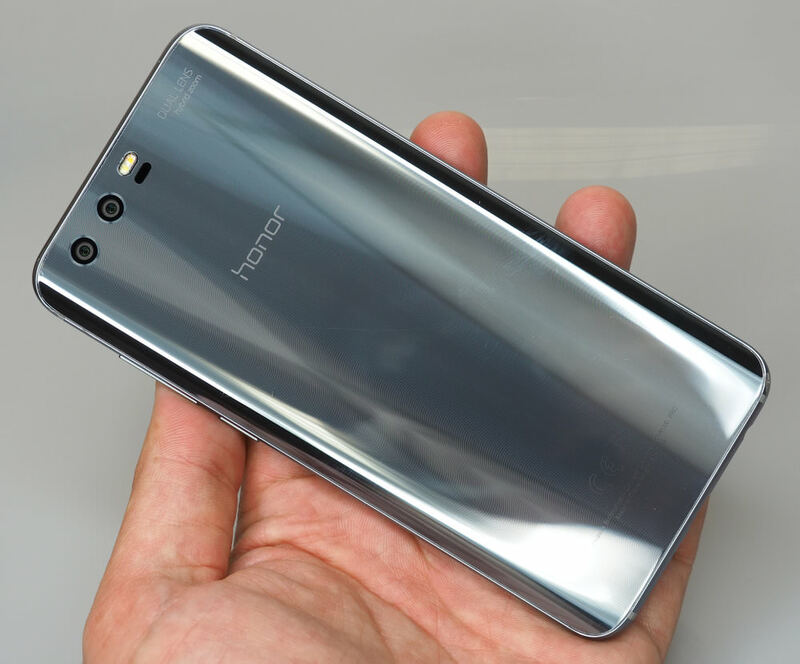 The Honor 9 feels very solidly built, thanks to the metal sides, although is a little slippery in the hand due to the glass design. We were also a little concerned about all the glass and felt nervous using the smartphone without a case. 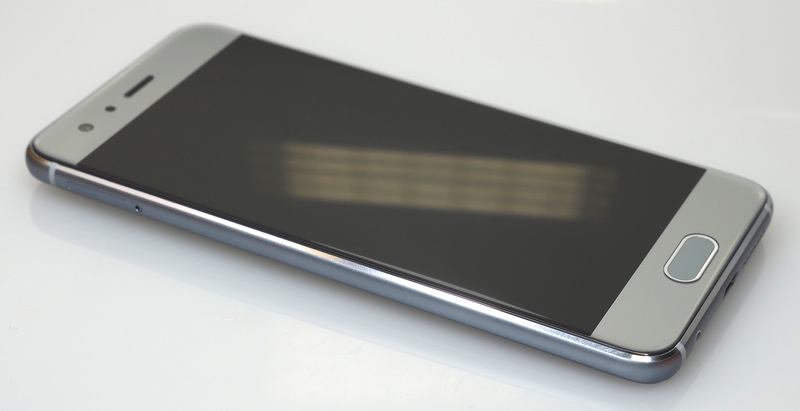 The fingerprint sensor on the front, at the bottom, doubles as a home button, with two soft buttons either side. This means that the screen space isn't used by these buttons, giving you more space for taking photos or using your apps. When taking photos, you can use the screen to set the focus point, right into the far corners of the frame. Swipe right (from left to right), and you can view the photo modes available. Swipe left (from right to left), and you can view the settings available for the mode you're in. At the bottom of the screen, you can switch between playback, photo and video modes. At the top, there is quick access to camera settings. It doesn’t take long to get used to shooting with the camera app. The USB port is a Type-C so the cable can be inserted in any direction, and there's a headphone socket, so you can plug in headphones directly. The screen looks clear and bright, with saturated colours. Viewing angles are good, although it can sometimes be difficult to see the screen in very bright sunlight. Battery life - The battery in the Honor 9, is a 3200mAh rechargeable battery and should give a days battery life comfortably. As with most smartphones, daily charging is pretty much the norm. There are no comments here! Be the first!